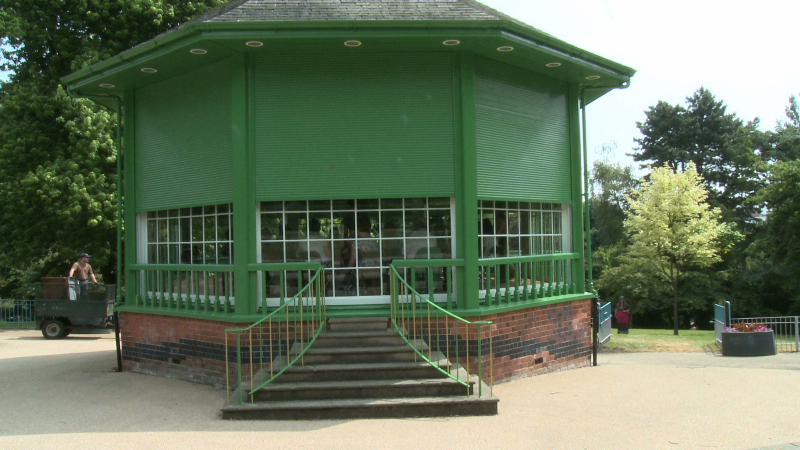 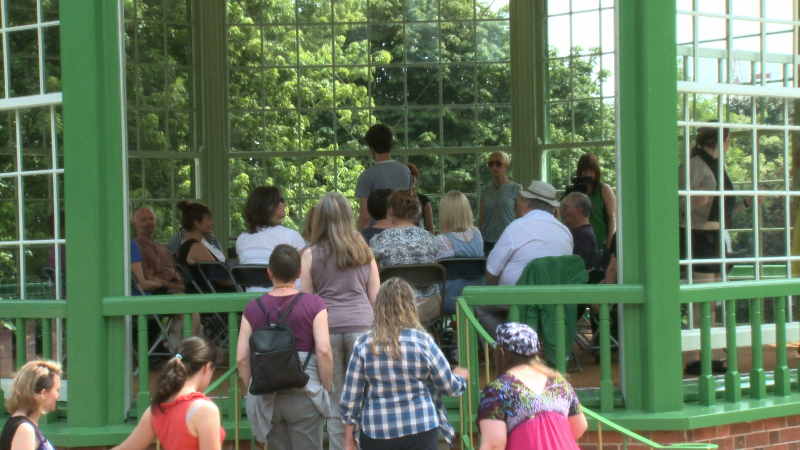 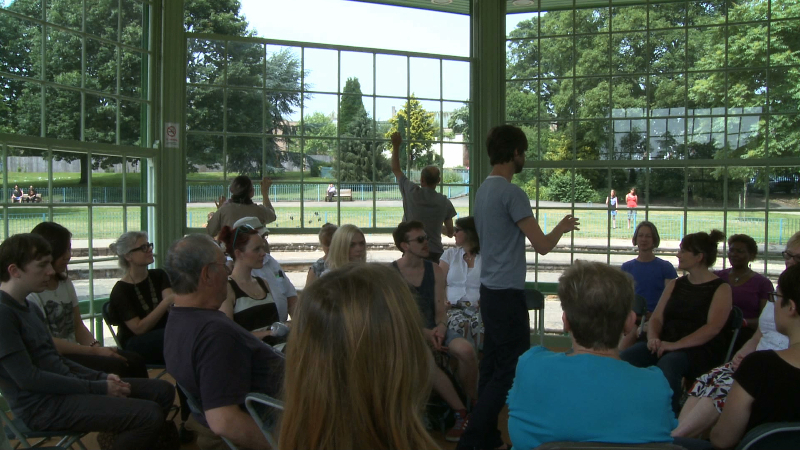 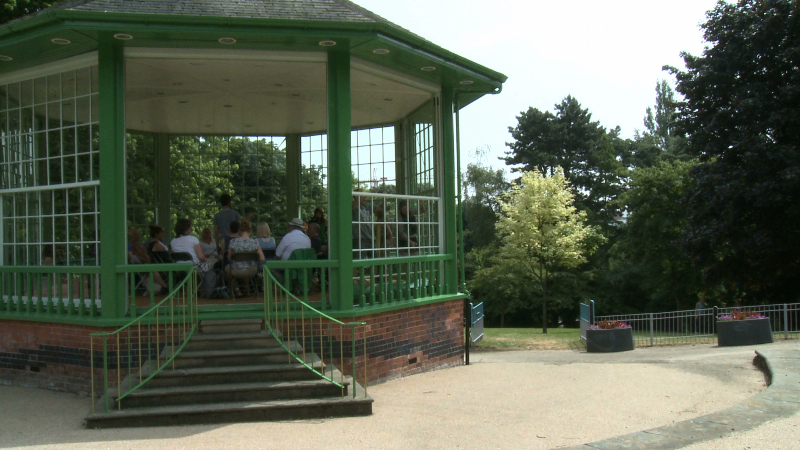 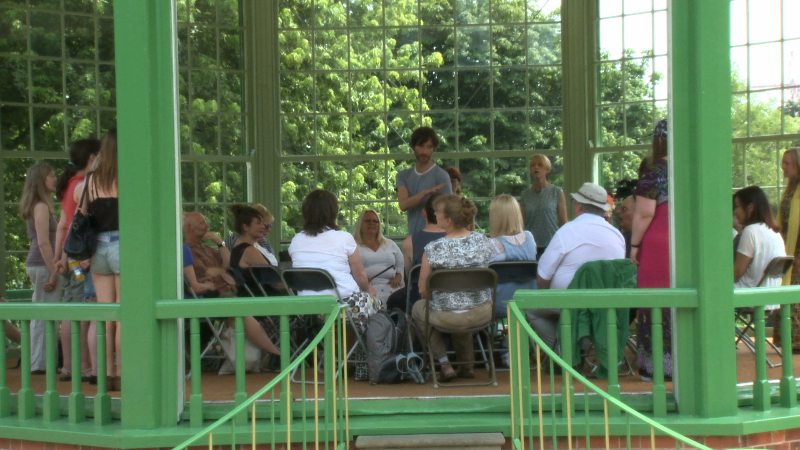 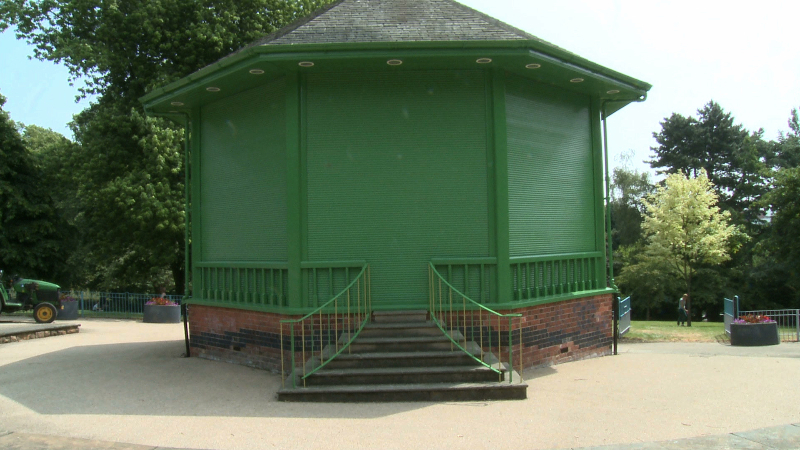 A performance that took place in the bandstand of the Arboretum, Nottingham. 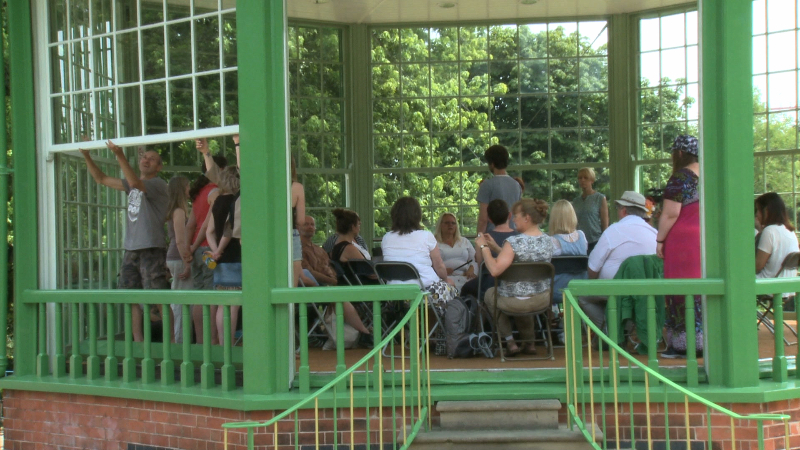 Audience members were seated in the dark with a choir, who sang broken chords, increasing in volume as the shutters and windows of the bandstand were raised. 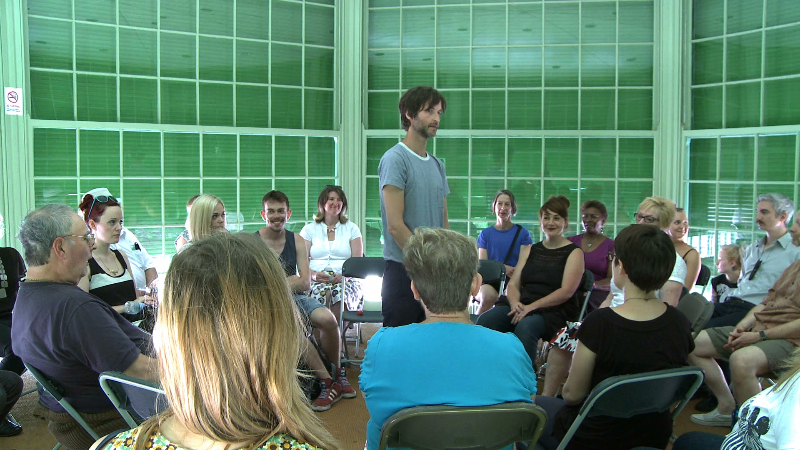 A second choir joined the seated group as simple lyrics were added to the arpeggio. 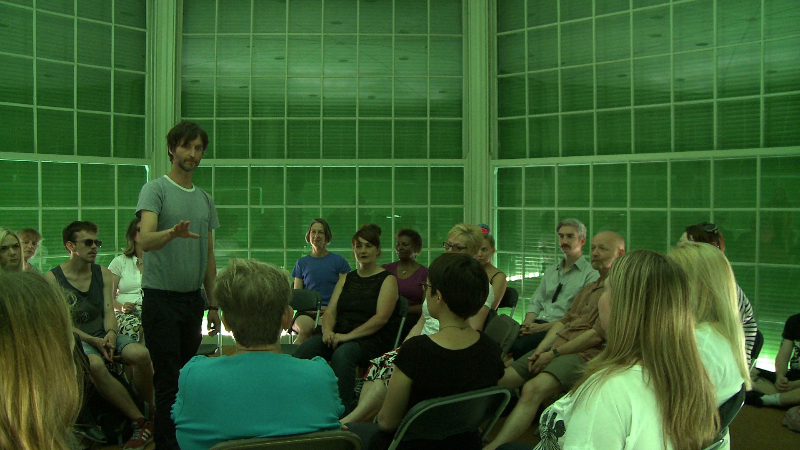 As the second choir left, the process reversed itself and the shutters and windows were closed again.